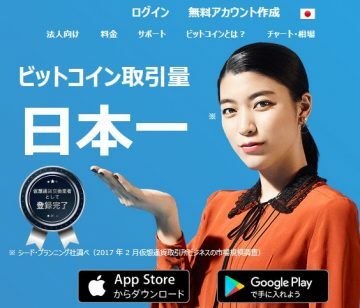 bitFlyer.jp Review 2019 – Scam or Not? According to a research made by Seed Planning, Inc. which involves all market exchange on currency exchange websites done in February 2017, Bitflyer.jp is number one when it comes to BTC trade volume in Japan. It is no surprise that a Japanese website would be one of the leading exchange websites today when it comes to BTC. As we all know, the Japanese government is, of course, the friendliest country towards the crypto revolution since Bitcoin was invented by one of their residents. Today, we will be looking into the website Bitflyer.jp, know about how to create an account with them, look into their trading platform if they have one, know which currencies you are able to purchase and their features. Without further delay, let’s talk about that! To start our review, we need to look into their background and know more about the company and learn what’s beyond the website name. The website was established in 2014 and is a virtual currency exchange website. The CEO is Yuzo Kano and has experience working for Goldman Sachs as a developer creating settlement systems. Now what’s great about this website is that they have a license to operate as a registered virtual currency exchange operator and is partnered with Sumimoto Mitsui Banking Corporation. Their office address is at Midtown Tower 8F, 9-7-1 Akasaka, Minato-ku, Tokyo 107-6208. They also have licenses to operate in different states of the US, which can be viewed here. In addition, the company is being regulated by both JFSA and NYDFS. For their customers to create an account they have different options to choose from. They have an email address option, create an account with Facebook, link the account with your Yahoo mail, or Google account. We’re a simple folk, that’s why we chose the email option. The confirmation code was sent almost instantly! After creating an account with bitFlyer.com you will then be automatically redirected to the account homepage wherein everything can be accessed through their main panel located on the left-hand side of the screen. The first thing that you will be able to see would be the available assets under the logged in account. The assets posted are JPY, BTC, ETH, ETC, LTC, BCH, and MONA. Please be advised that bitFlyer.jp has two different websites, one for Japanese residents and the other one for non-Japanese residents. This is why we’ve mentioned earlier that they also have licenses to operate in different states in the United States of America. To access their US website, click here. To access their BTC exchange platform, all you need to do is log into your account and click on the “Bitcoin Exchange” tab located on the left-hand side of the account page. This will open up the trading platform where users are able to buy or sell BTC or any other cryptocurrency they want to exchange. Please be advised that shown in the screenshot above is the original website in which all transactions are based in JPY and not in USD. When you are registered with the US website, then the default currency will, of course, be in USD. On the left-hand side of the screenshot, we are able to see the recent purchases happening on the website in live animation. This means that you will get the latest prices and volume of trade listed in this area. As you can see, they have listed the time of the transaction, and the price for the whole lot and the amount of BTC that was transacted. 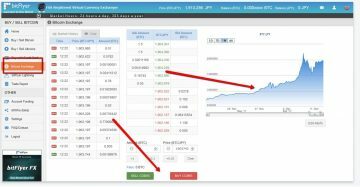 The lower part of the exchange platform is where the BUY and SELL buttons are located. Before purchasing or selling BTC, you need to provide the amount of crypto you want to trade, and the value on which you want to purchase or sell it for. 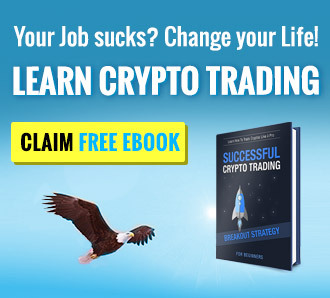 A chart is also provided on the right side to help you look into the latest trends and adjust it from a day up to the start of the website trading traffic. We would also like to include that Margin and Futures trading is available here at bitFlyer.jp. The margin rate is at 6.67% for 15x leverage and 100% for 1x leverage. For Japanese residents, purchasing BTC has never been this easy. There are some people that would find it time-consuming to go through the exchange process and would just rather purchase BTC right away. To purchase BTC, this can be done with either different cryptocurrencies or with the use of a VISA or MasterCard credit card. Fees would depend on the transaction that you will be doing with bitFlyer.jp. The trading fee can range from being FREE of charge up to 0.20% of the total transaction value. For BTC transaction, fees can reach up to 0.0004 BTC. Quick deposit fees would reach 324 JPY per deposit. To read the complete list of fees, please click this link. There are different methods to fund your account in bitFlyer.jp and this includes the crypto deposits like BTC, LTC, BCH, ETH, ETC, and MONA. They also have an option for their Japanese users to deposit through internet banking, bank ATM, or through a local convenience store. To name a few alternative deposit options we’ve got Pay-easy, SBI Sumishin Net Bank, Jibun Bank, AEON Bank. To withdraw, you need to provide your complete bank account details. Fees are listed here regarding withdrawals. When it comes to BTC withdrawal, the fee per transaction is at 0.0004 BTC. The website is awesome and they offer margin and futures trading! This is great for people that are into trading through exchange websites such as bitFlyer.jp. In addition, the website is being regulated, which is great! If you have been trading through exchange websites and purchase BTC from them, there is only a handful of these websites that actually have a license to operate and that are being regulated by some sort of regulatory body; good thing that this website is one of them. Please let us know what you guys think of this website in the comment section below.